The Harley-Davidson Sportster Model XL1200NS, or the 1200 Iron, is the perfect motorcycle for thrill-seekers who are looking for a standout bike. 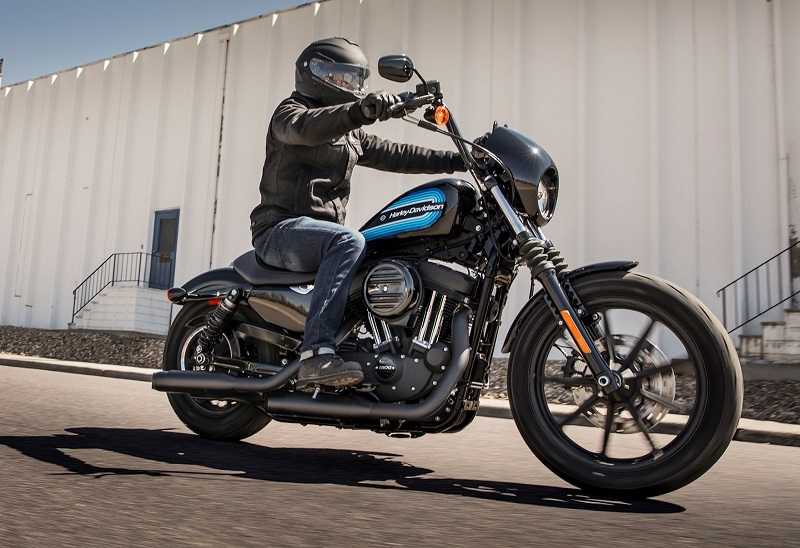 The 2019 Harley-Davidson 1200 Iron gives you an authentic sportster-style riding experience while invigorating your ride with modern elements combined with a throwback feel. 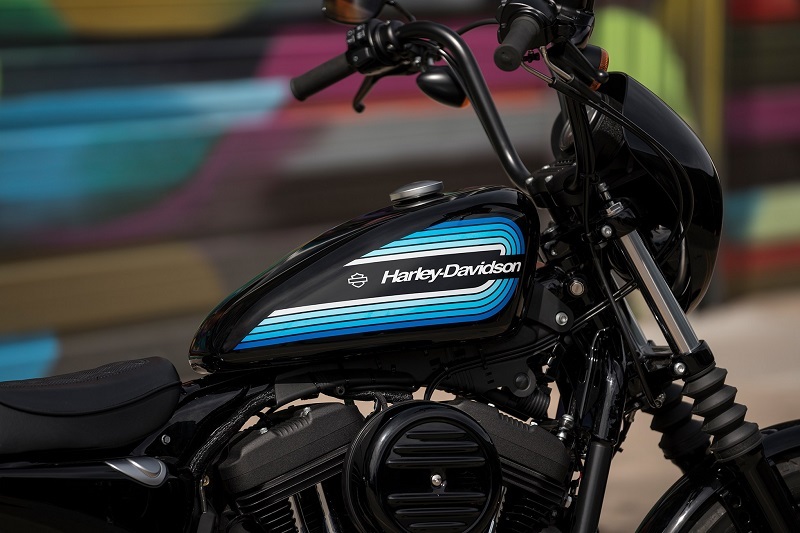 It has all of the power and iconic style that you expect from a Harley-Davidson as well as a distinctive urban flair backed by special details that will turn heads. With a visit to our Harley-Davidson dealership serving Columbia Westminster Bel Air Maryland, you can check out this edgy bike and get on the road to be impressed by its awe-inspiring performance capabilities. One of the first things that you may notice when you see the 2019 Harley-Davidson 1200 Iron near Columbia is its custom tank art that gives a nod to the 1970s. This retro look is available in vivid black or billiard white with blue accents or in twisted cherry red with crimson accents. These colors are offset by a blacked-out design that has only a few standout chrome accents. The black café solo seat sits low to the ground and gives you easy control over the black mini-ape handlebars. A smooth, sleek fairing adds an aerodynamic element to the exterior while the circular LED headlight adds stunning contrast to the bike’s front end. This fairing has a modified shield to partially block the wind without obstructing your view of the road. The powerful dual exhaust pipes in matte black combine with the 9-spoke cast aluminum wheels in black to complete the stunning look. When you contact Harley-Davidson of Baltimore soon, you will have a chance to check out the color options and customization possibilities for the 2019 Harley-Davidson 1200 Iron. While the 2019 Harley-Davidson 1200 Iron near Columbia has an appealing throwback look with effortless urban edginess, this motorcycle is loaded with modern features that make it a pleasure to ride. 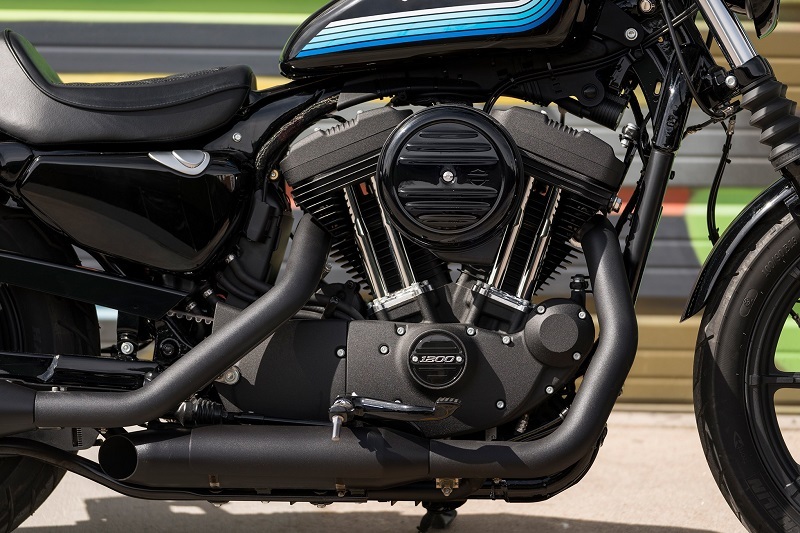 The Sportster model XL1200NS for 2019 features electronic gauges mounted to the handlebar for easy viewing. These gauges include a dual trip meter, a low fuel warning light, a speedometer, a clock, an odometer, engine diagnostics and more. Other essential features that will be in your 2019 Harley-Davidson 1200 Iron include high beams, LED turn signal indicators, a low battery light, a low fuel warning, engine diagnostics and more. You can also add a security system and anti-lock brakes to the bike for additional functionality. Contact Harley-Davidson of Baltimore to inquire about these standard features as well as optional equipment that can be added to your new 1200 Iron bike. The Sportster model XL1200NS is a motorcycle that has been designed for thrill-seekers. It gives you the raw power that you crave in a bike paired with all of the performance-based equipment for maximum control on the road. When you cruise around on the 2019 Harley-Davidson 1200 Iron near Columbia, you can enjoy the power of a 1200cc Evolution air-cooled engine that has superior acceleration capabilities. With the power of this engine combined with the lightweight frame and the bike’s excellent suspension system, you can easily enjoy every minute you are on the road. The powertrain features electronic sequential fuel port injection as well as stagger exhaust pipes with slash-cut mufflers. Control of this powerful engine is moderated by high-quality dual-piston caliper brakes in the front and rear. Our Harley-Davidson sales agents serving Columbia Westminster Bel Air Maryland are thrilled to get you on the rode to test out the 1200 Iron for 2019 and to help you decide if this is the sportster model that is right for you. 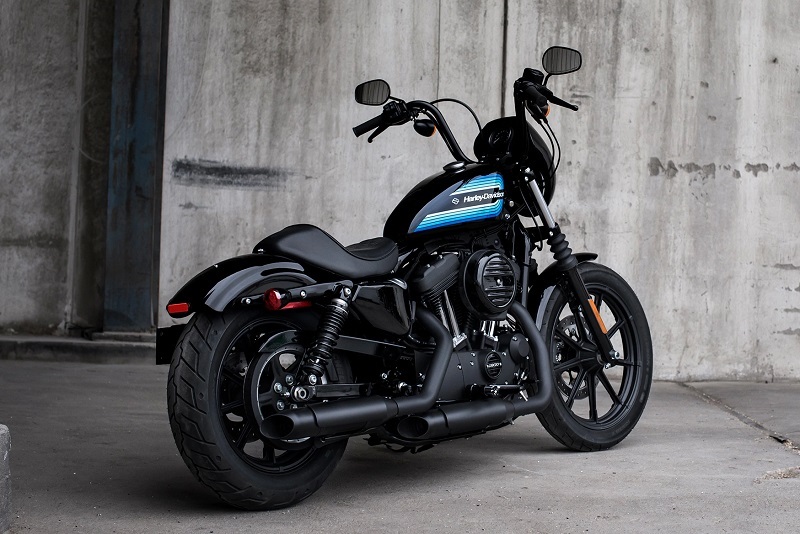 When you select the 2019 Harley-Davidson Iron 1200 near Columbia as the new bike that you want to cruise around town in each day, you may be eager to make it your own through various customization options. Our helpful sales agents serving Columbia Westminster Bel Air Maryland are excited to tell you about the many accessories that can be added to your 1200 Iron model to improve performance, convenience, functionality and more. Some of the many features that you can purchase through our local dealership for your 1200 Iron bike for 2019 include a reduced reach seat for a passenger, a solo seat with a modified back, a sportster drag bar, a chopped fender with a luggage rack in black or chrome, multiple performance kits with an exposed air filter, rear set foot controls, leather saddlebags, a custom tail, a brawler solo seat, multiple tire and wheel options, customized paint options and many other accessories. You can easily select the perfect combination of accessories to suit your needs, and our skilled service team can install them for you. This makes it easy for you take home a bike that lives up to your high expectations on day one. The Harley-Davidson 1200 Iron for 2019 is the ideal model for speed-loving bikers who want to stand out and get noticed on the road. This is a model unlike any other, and it deserves a closer look before you decide which motorcycle to take home. Now is a great time to contact Harley-Davidson of Baltimore and to check out this bike in person with a test ride. Drop by at your convenience, or call ahead for an appointment with our sales reps.